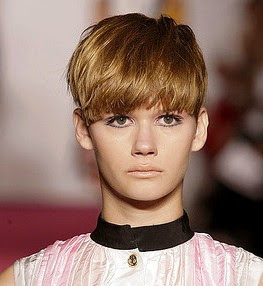 The bowl cut has an ancient history; it has reappeared throughout the centuries, often with a different name associating to this shape. 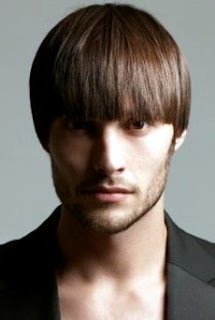 During the 1960s the popular British rock group the Beatles introduced a modern version of bowl-cropped hair, it has also been called a mod cut, mushroom cut, and I am sure we each had either a girl or boy in grade 4th that sported this haircut. 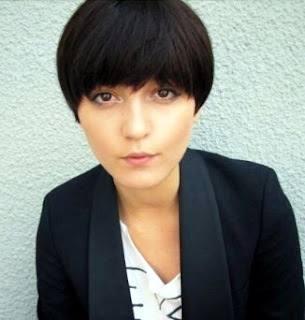 The bowl haircut is making its reappearance both for men and women with new twists for fall/winter, models Irina Lazareanu and Tao Okamoto are already wearing this cut and many designers have chosen to showcase their collections with bowl shape hair inspirations. 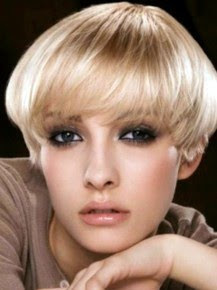 Merging with the traditional bob with heavy style bangs being the focus and cut in a rounded manner to give lots of flow and movement to the hair. 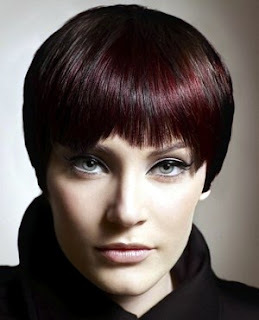 This is one of my favorite haircuts to color and perhaps it’s because really it is a bob which to me as a hair colorist is the ultimate shape to paint on, it is a shape that with hair coloring can look either soft, strong, bold or classic, Any color (techniques) approach can be applied to these haircuts in fact the sky is the limit with these cool shapes and hair color.And it is definitely a strong possibility that the bowl haircut and variations of it will be popular for 2010 for both men and women. love it on irina,,, fab fab fab!! !